Our inaugural Thirsty Thursday event, hosted by our 2018 President of Activities Philip James, was a smashing success! 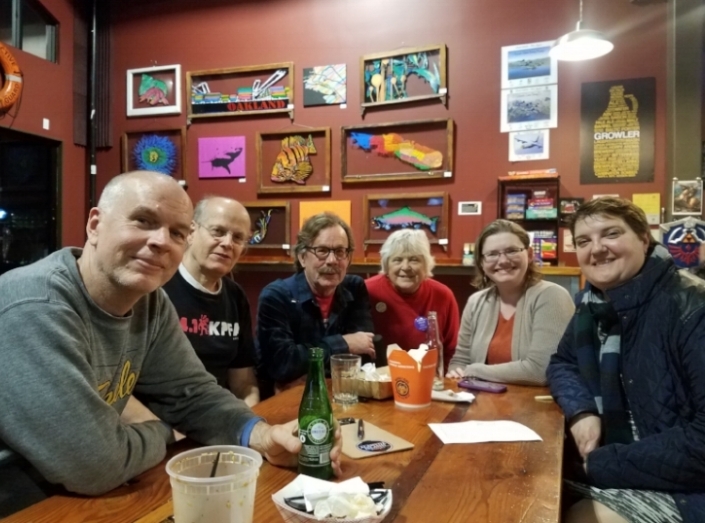 Members braved a rainy night to join up for drinks and socializing at the Alameda Island Brewing Company. Next month's Thirsty Thursday will be Feb. 22. Mark your calendar now and get in on the fun! CADC Kicks off Voter Registration for 2018! A democracy only works if it's citizens participate, which is why it is so important to vote! We've already begun our voter registration campaign for 2018. Led by our Voter Registration Chair Alan Pryor, CADC members set up a table at the January 13th Farmer's Market to register voters. 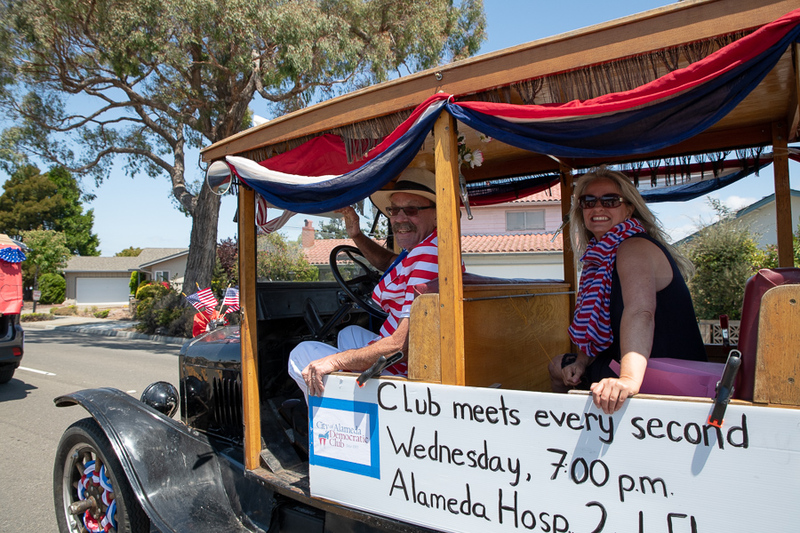 From left to right: Club Members Jeanne Nader, Alan Pryor, and Michelle Pryor (no relation to Alan) enjoy a sunny day of civic duty. In addition to our Farmer's Market Table, Program's Director Dan Wood, managed a second table the same day at the South Shore Center. Our dedicated volunteers managed to register 16 new voters! 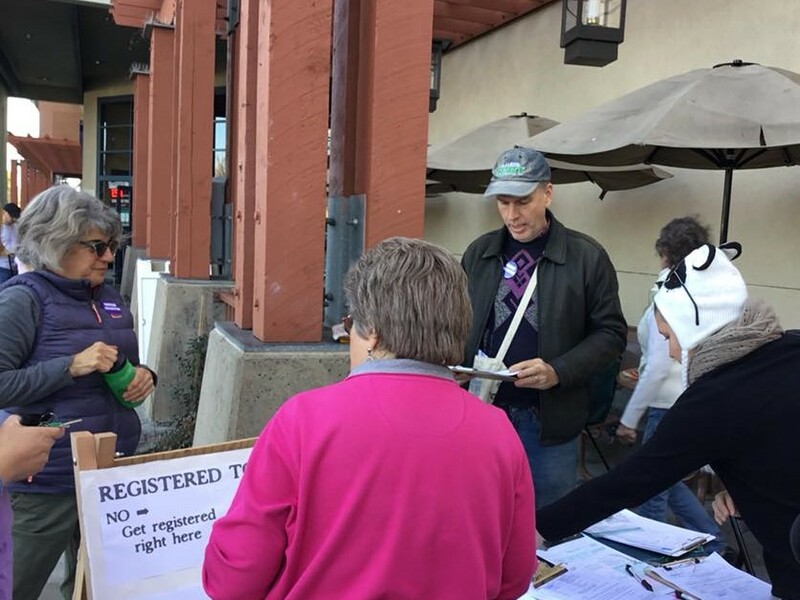 If you're interested in volunteering for our next Voter Registration Event, it will be held on February 10th at the Alameda Farmer's Market from 9-12. Please check out our event's page for more information. Dan Wood, (mid right) looks over voter registration forms to ensure everything is filled out correctly.